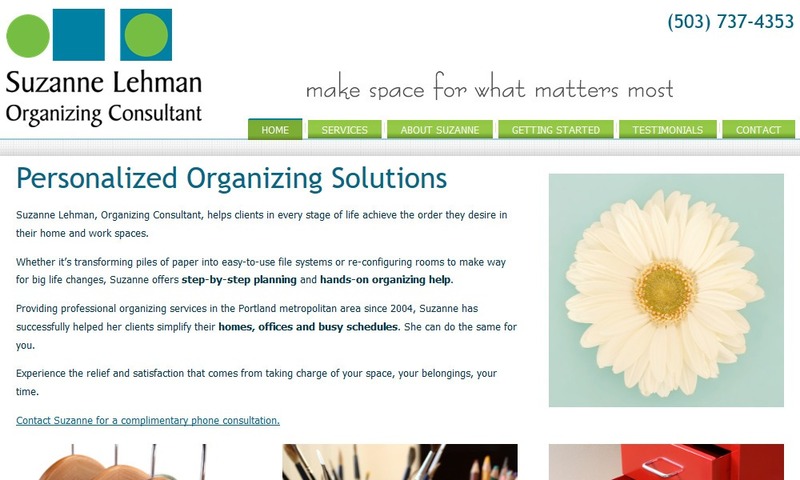 Suzanne needed to upgrade her site to a more modern look, while adding more information. As Suzanne is a professional organizer, it was especially important to have a ‘clean’ and ‘neat’ layout. Clutter was out of the question! Click here to read client feedback.